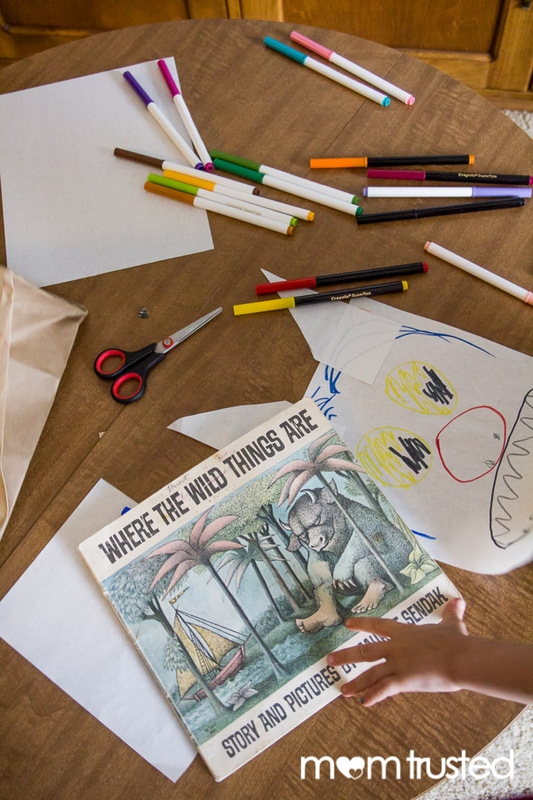 What preschooler doesn’t love Maurice Sendak’s Where the Wild Things Are? 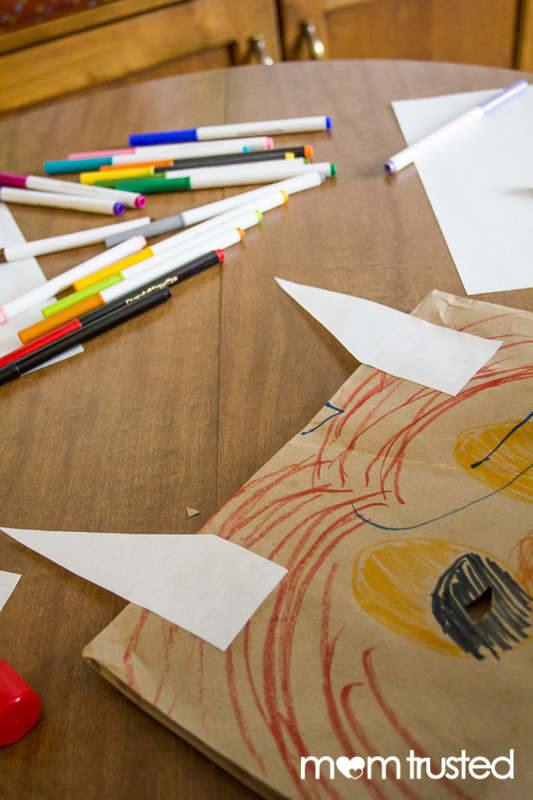 Here’s how you can make your own monster masks to play with next time you read the story. 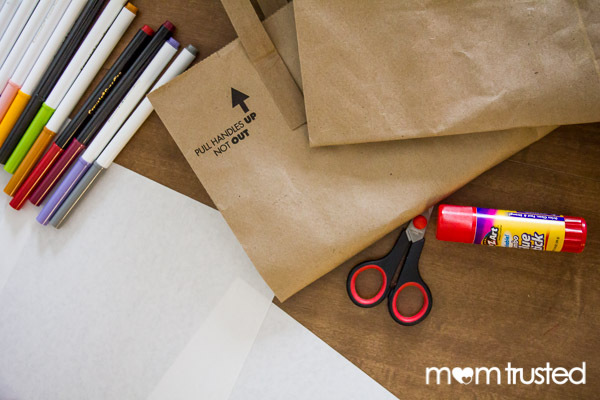 You’ll need: brown shopping bags with plain backs, white paper, markers, scissors, and glue. 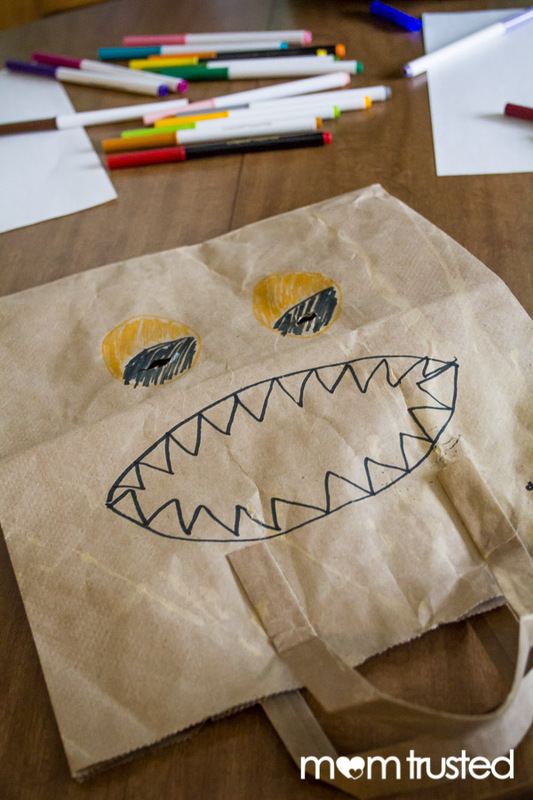 First draw Wild Thing faces on the plain backs of the paper bags, with the open side down. Yellow eyes and sharp teeth are a must! 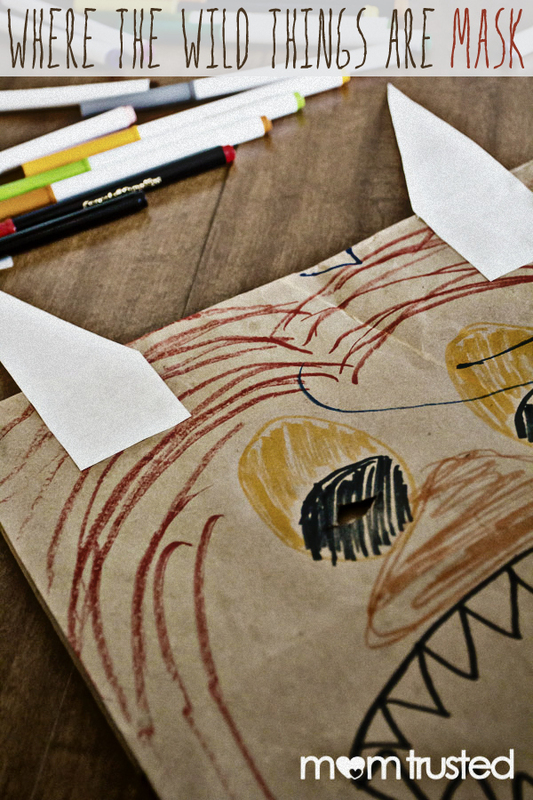 Cut out ‘horns’ from the white paper and glue them to the top of your face (bottom of the bag). Don’t forget the fur! To finish the masks, carefully cut small holes in the eyes (this is an adult job). 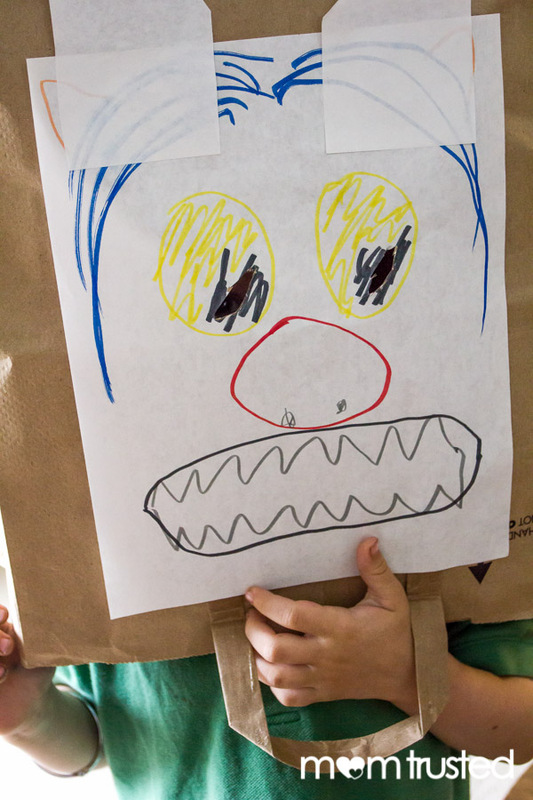 To play, put the bags over your heads and roar! 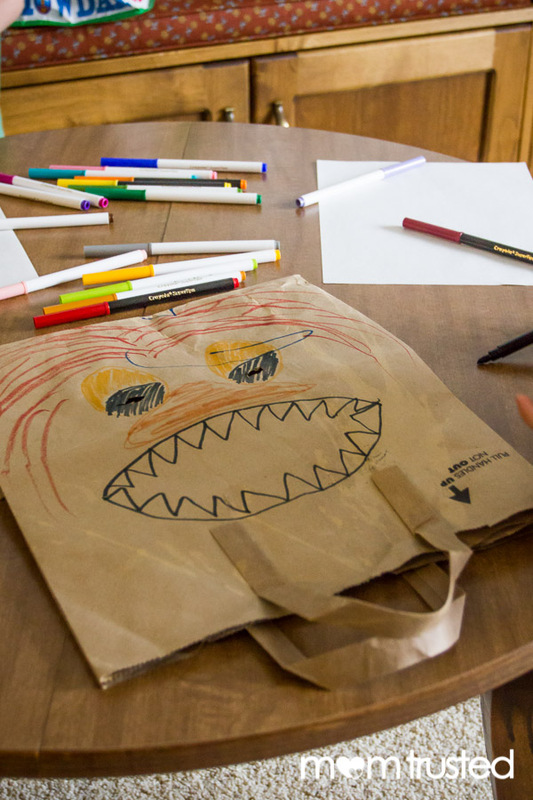 If you have a child who is finicky about drawing on the brown bag you can draw the face on white paper and glue it on. 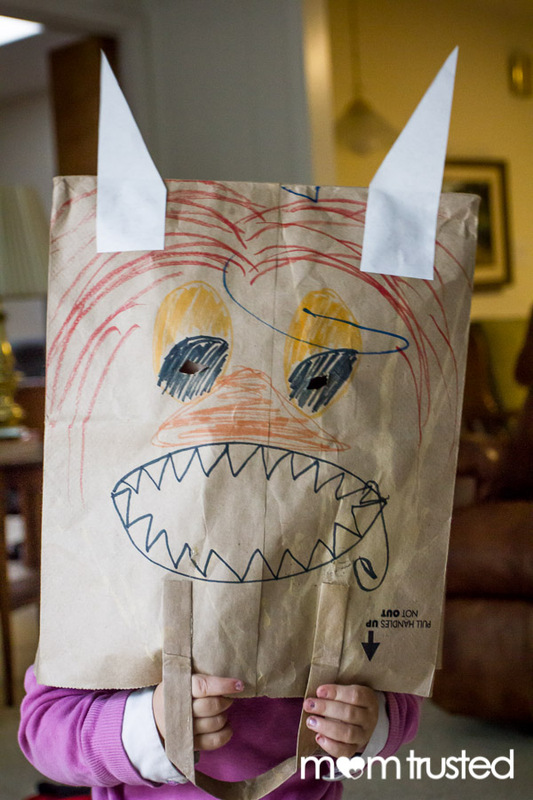 When they get tired of playing Wild Thing, the bags make great… bags! Pack a Wild Thing snack (vegetables!) and take a long journey through days and nights, almost over a year, to eat it in the backyard.